With just two months to go until Christmas, festive vegans will be delighted to see the huge growth in plant-based products filling supermarket shelves for the holidays. 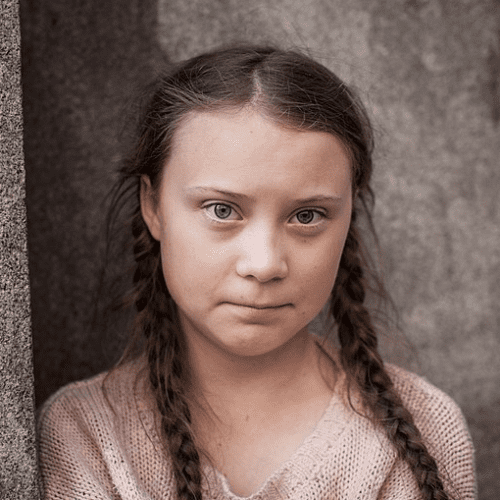 Long gone are the days when vegans were resigned to a Christmas dinner featuring dry vegetables and pitying expressions from loved ones. In recent years supermarkets have upped their game catering for vegans during the holidays, and the trend is set to continue. 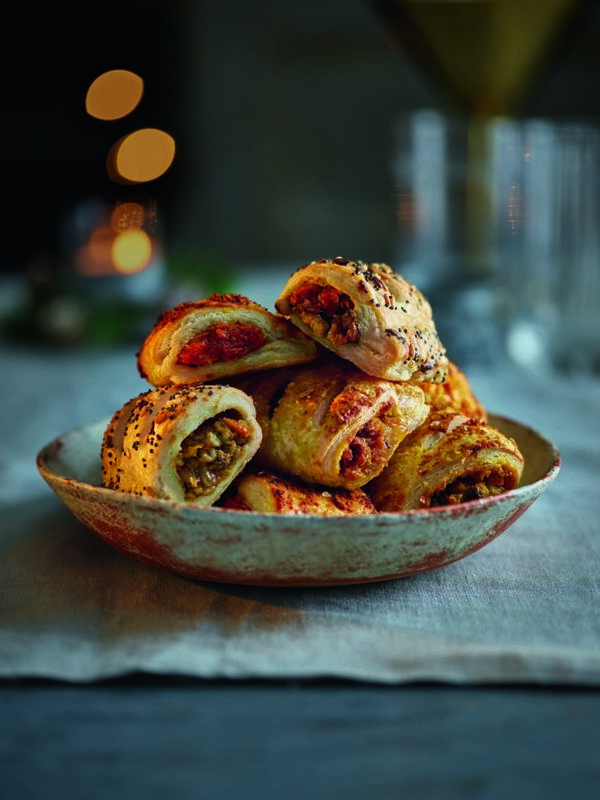 Tesco is the latest supermarket to reveal its exciting range of plant-based 2018 Christmas centrepieces, sides and canapés. 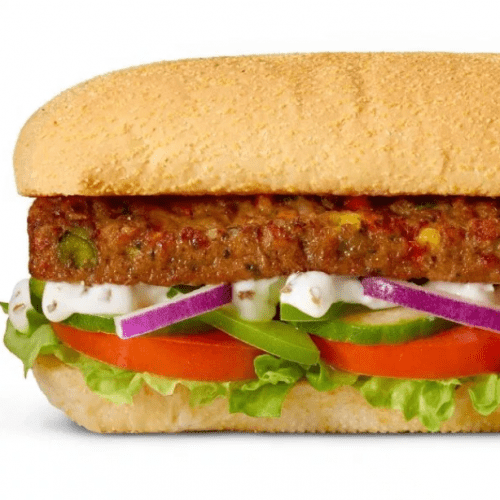 If Tesco’s offer doesn’t suit you, take a look at the vegan offers at Iceland, Co-op, Waitrose and Asda. You might also like to see the best vegan Christmas dinner main course recipes, and the most delicious side dish recipes. 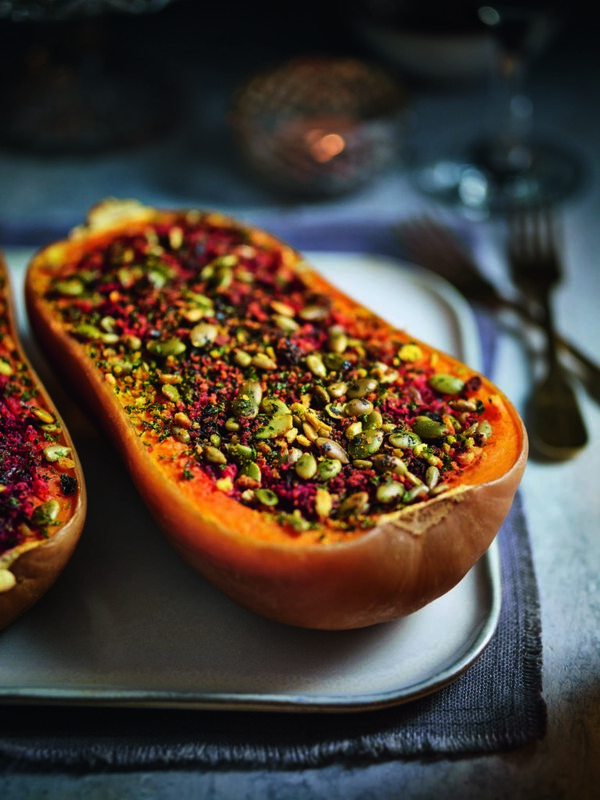 Sweet butternut squash, stuffed with a tangy beetroot and apple filling cooked with a touch of sherry vinegar and garlic to complement the creamy squash. Finished with a topping of crunchy pumpkin and sunflower seeds – a delicious highlight for a Christmas meal. 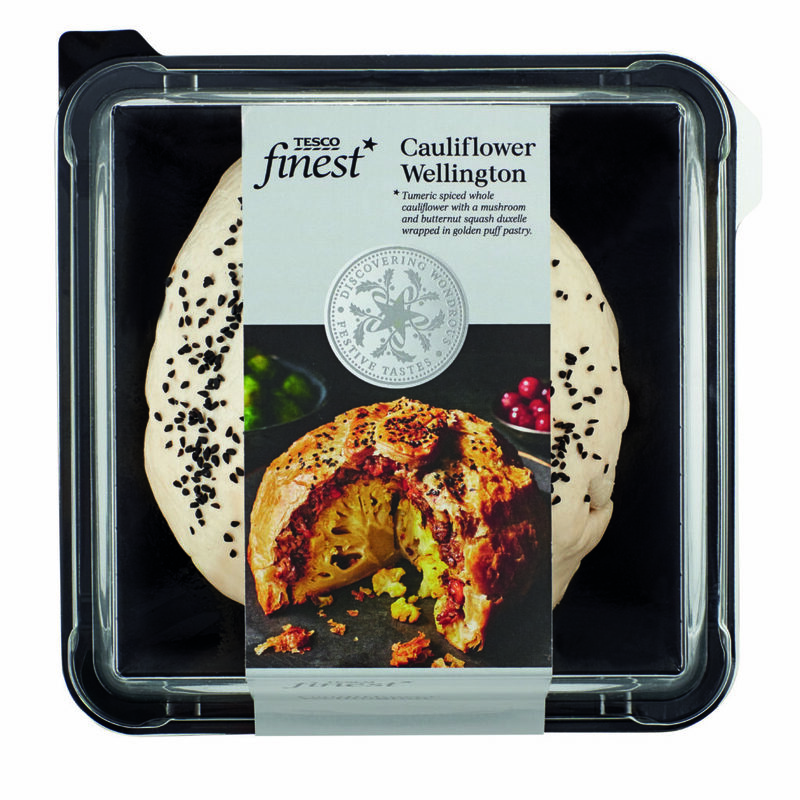 The British-grown whole cauliflower is generously coated in turmeric oil, followed by a mushroom and butternut squash Duxelles sauce, rich in red wine and warming Christmas spices of cloves, nutmeg and cinnamon. 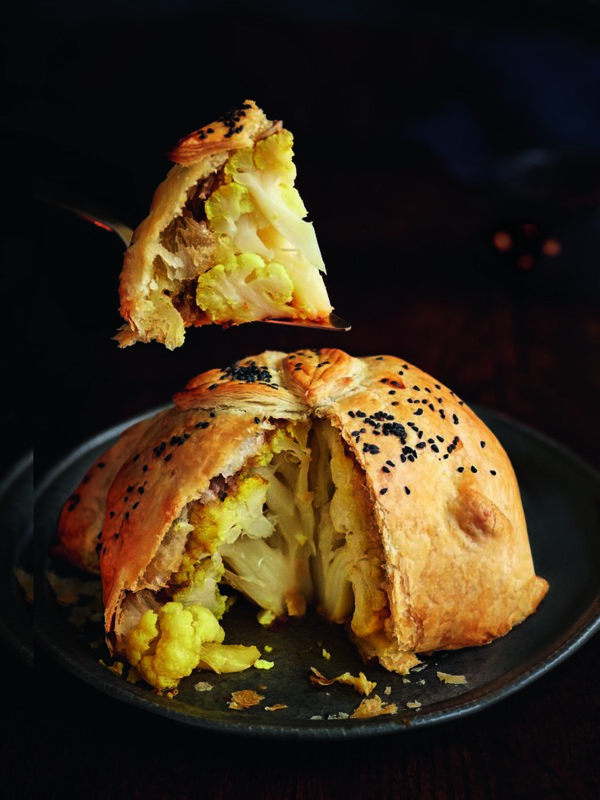 The cauliflower is then carefully hand-wrapped in golden, flaky puff pastry, and decorated with hand-placed pastry leaves and sprinkled with onion seeds to finish. A great Christmas dinner centrepiece. The braised red cabbage is flavoured with tangy apple, cinnamon, cloves. The cabbage has been reduced to create the perfect texture that still has some bite, to save you some prep time on your busy Christmas day. The selection includes three Moroccan spiced cauliflower rolls filled with roasted cauliflower, sultanas and harissa, wrapped in puff pastry with a turmeric and fennel seed crumb; three roasted butternut rolls containing roasted butternut squash, spiced pearl barley and herbs, wrapped in puff pastry with a mixed seed crumb; and three katsu Rolls – katsu curry vegetables, wrapped in puff pastry and sprinkled with a katsu crumb. Great nibbles to keep you going between meals this Christmas! These Thai-style hand-wrapped spring rolls are filled with creamy coconut and butternut squash, topped with coconut, parsley and smoky paprika. 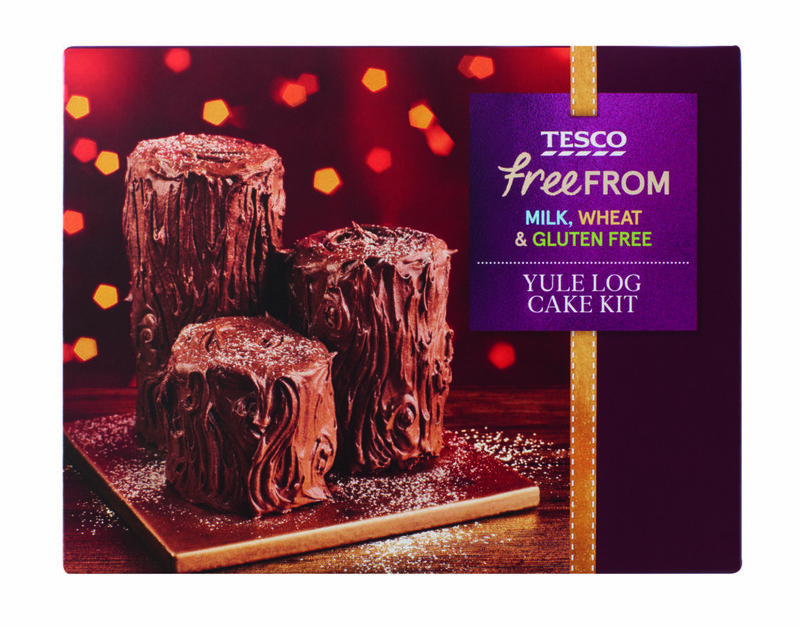 For dessert, vegans can also try the Yule Log Cake Kit to make your own Christmas treat, which is completely milk, wheat and gluten free. At Totally Vegan Buzz we’re excited by the great range of vegan products supermarkets are offering this year. 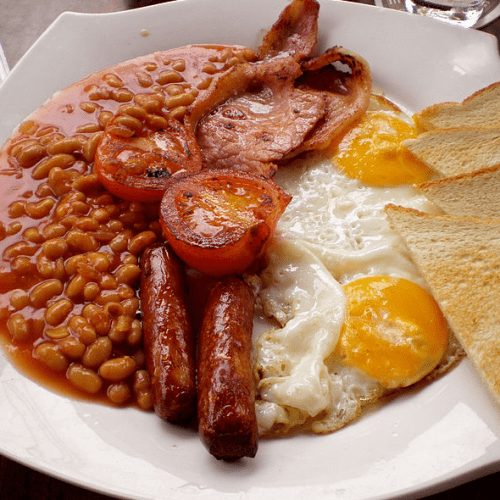 What has caught your eye? Tell us in the comments section below!